Federal employee unions have reported that a number of agencies have begun to comply with a court decision invalidating key provisions of President Trump’s executive orders that sought to make it easier to fire federal workers and reduce the influence of unions in the workplace. Departments have begun the process of restoring policies like official time to union employees, particularly in cases where decisions to limit the practice were made unilaterally. But union officials worry that, even with a court decision on their side, the principles laid out by the Trump administration earlier this year will persist through the negotiation of new collective bargaining agreements. On Aug. 24, U.S. District Court Judge Ketanji Brown Jackson published a 122-page opinion striking down most of the key provisions of Trump’s workforce executive orders, issued in May. Jackson found that sections standardizing performance improvement plans at 30 days, restricting the length and scope of collective bargaining negotiations, and capping the amount and potential uses of official time amounted to “eviscerating” the right to collectively bargain as enshrined in the 1978 Civil Service Reform Act. Shortly afterward, unions demanded that agencies act swiftly to restore a number of policies that were unilaterally cut or curtailed to implement the executive orders, particularly official time and agency-provided office space and equipment. On Aug. 29, the Office of Personnel Management issued guidance rescinding earlier instructions on how agencies should implement the executive orders, and told agencies to “fully comply” with the court decision. Since then, unions said that agencies have mostly followed through in reversing changes they had made unilaterally. Although officials at the Veterans Affairs Department had initially indicated to unions that they might not abide by the order, the American Federation of Government Employees said the department has restored official time and access to office space. 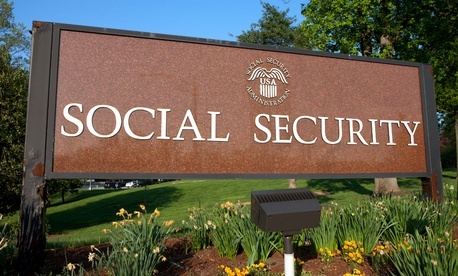 The Social Security Administration has indicated it will rescind unilaterally implemented provisions of the executive orders, although that process has not yet begun. The National Treasury Employees Union said it will monitor the agency closely to ensure it complies fully with the order. The Internal Revenue Service, which had signaled its intent to limit official time before the court order was issued, has since pulled back that proposal. But unions fear that the intent of the executive orders to reduce the overall scope of bargaining with labor groups could persist despite Jackson’s rebuke. National Federation of Federal Employees Associate General Counsel Suzanne Summerlin, who last week caught a VA employee illegally taping both negotiation sessions and the private deliberations of union negotiators, said “bad faith” bargaining has persisted since the executive orders were enjoined. Reardon said that at the Health and Human Services Department, where officials declared an impasse after attempting to implement provisions of the executive orders through collective bargaining negotiations, there has been no action to rescind offending contract proposals. HHS did not respond immediately to a request for comment. Reps. Rosa DeLauro, D-Conn., and Jan Schakowsky, D-Ill., sent a letter Thursday to HHS Secretary Alex Azar demanding the department return to the bargaining table with NTEU.